5 In. 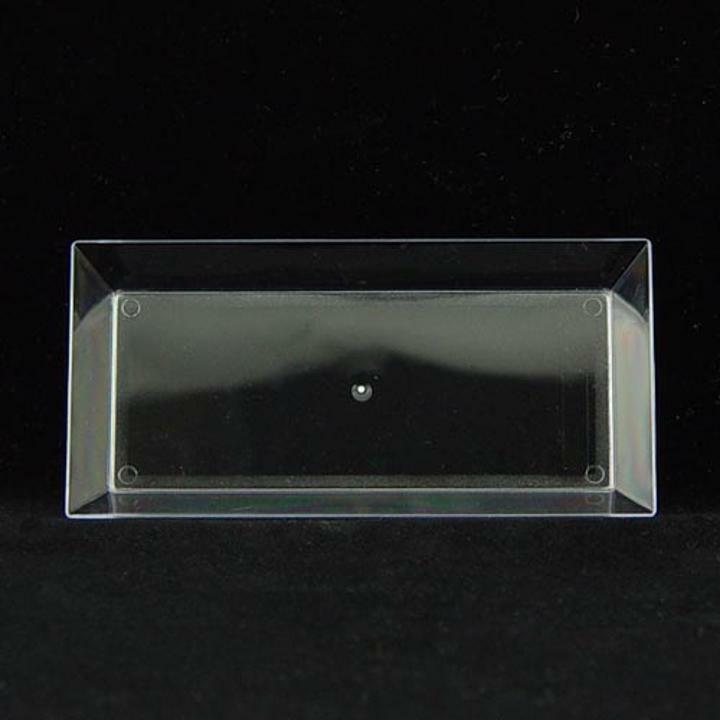 Clear Miniature Rectangle Tray - 10 Ct. Perfect addition to any banquet or buffet table! Our line of miniature plates and dishes are the perfect way to showcase your culinary creations! Made of premium plastic, these miniature rectangle trays feature a modern design that is certain to make a bold statement at your next event. Great for desserts, tasting dishes, or palate teasers! Each tray measures approximately 5 in. x 2 1/4 in. 5 in. x 2 1/4 in.